How often did it happen to you to closely avoid crushing into a car because you couldn’t see in time the braking signals? Thanks to Ford electronic brake light system, we should all avoid such situations from now on. The revolutionary technology is far from being ready to enter the market, yet we couldn’t help but salute it even in this trial stage. The functioning principle resides in a car 2 car communication system that will let you know whenever the car in front of you is engaging into braking. Instead of watching for its lighting signals, you will have to focus on your Ford electronic brake light system – which is, in fact, one of our dashboard lights. 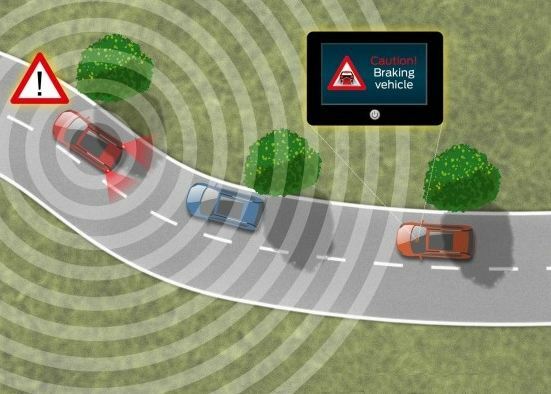 The breakthrough of this method is the fact that it works with wireless signals – the alert is possible even during the worst weather conditions or if the braking car is going behind corners or hills. This Ford electronic brake light system is not an isolated attempt of the giant car maker, but rather part of a larger project to include other 19 live saving systems!